Candlelight programs are a Christmas Eve tradition. The practice of using candlelight at Christmas Eve programs comes from the book of Isaiah, which prophesied the birth of a Messiah child who would bring great light to the people walking in darkness. A special white pillar Christ candle is lit on Christmas Eve as part of the Advent Wreath liturgy. Though use of candles vary, each is a way of celebrating the birth of Christ, the light of the world. Candlelight Communion services are a traditional Christmas Eve experience. Candles with paper drip-catchers are distributed as people enter. Special music is performed. Isaiah 9:2,6 is read and a short sermon based on the familiar nativity passage from Luke 2 follows. Communion is served by intinction (dipping a piece of bread into a chalice of juice and then eating it) while Christmas hymns are sung. The service ends with the congregational candlelighting. Ushers carry the flame from the Christ candle on the altar to the people seated along the aisles. The flame is passed person to person as "Silent Night" is sung. Acting out the nativity scene is a traditional part of children's Christmas Eve programs, such as a Play-It-Yourself-Kidmas, where families create and participate in the Nativity play. As families arrive, they are offered simple shepherd, angel, cow, donkey and king costumes. A prepared team of a narrator/director and accompanist lead the families in acting out the story, which is read from Luke 2. The narrator gives instructions for everyone to act out what they hear, and takes liberty with the story to make it fun. For example, she may instruct the cows to moo at any point in the story. An expectant couple is selected to play Mary and Joseph. A Jesus doll substitutes for an infant when none is present. Songs such as "Away in a Manger" and "Hark the Herald Angels Sing" are sung. A kid-friendly candlelighting ends the program using penlights (which can be printed with the church's name). Everyone sings "Silent Night" as the penlights are illuminated and held up. The children take the penlights home as a memento. Blue Christmas is a Christmas Eve event for "them who mourn." A program that incorporates themes of loss, comfort, loneliness and hope is meaningful to the bereaved. The 'comfort passage' from Isaiah 40:1-11 is read and the hopeful words of Psalms 121 follow. The nativity account from Matthew 1 and 2 helps illuminate the difficult entry of Christ and God's intervening grace. The Advent Wreath Candles become a memorial, with the four candles representing aspects of loss. 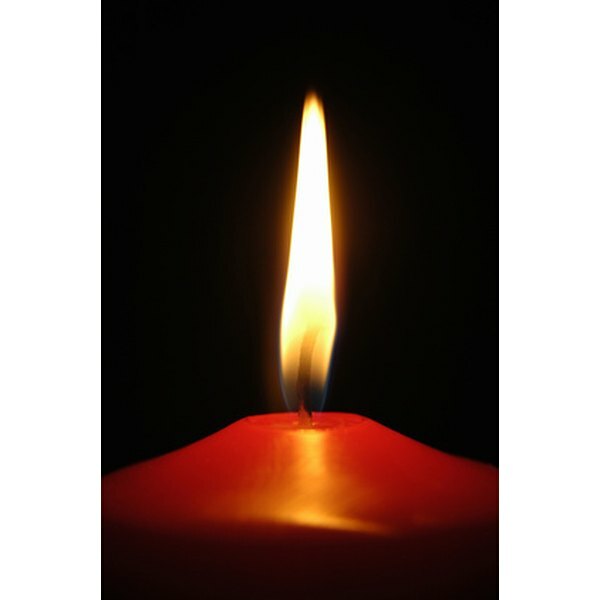 The first represents lost loved ones; the second represents other losses: ended relationships, the loss of health, dreams or jobs; the third candle acknowledges the support of friends and family; and the last candle represents the gift of hope. The Christ candle is lit last, representing the light of the world. At the conclusion, participants light small, blue candles from the Christ candle and carry them out, symbolizing the light of hope going with them.